Updated Thursday at 9:45 a.m. The remaining shooting victim at San Francisco General Hospital, a 36-year-old male, has been upgraded from serious to fair condition, an SFGH spokesman said. 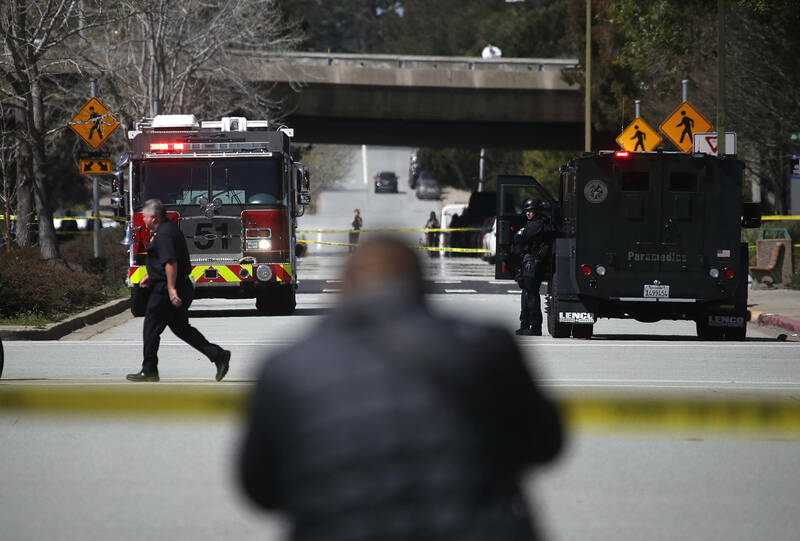 Nasim Aghdam, who shot three people and then killed herself at YouTube headquarters in San Bruno on Tuesday, was upset with the company, San Bruno Police Chief Ed Barberini said during a press conference Wednesday morning. "It is believed that the suspect was upset with policies and practices of YouTube. This appears to be the motive for this incident," Barberini said. He also indicated Aghdam had visited a local gun range the morning before the shooting. Barberini said Aghdam also legally owned the Smith & Wesson 9 mm semiautomatic handgun used in the shooting and recovered at the scene. Authorities are still working to determine what security measures Aghdam had used so she could enter the company's headquarters via a parking garage. Two women wounded by Aghdam were released Tuesday night from the hospital, a San Francisco General Hospital spokesman wrote in an email to KQED. The third shooting victim, a 36-year-old man, remains at the hospital in serious condition. Mountain View police defended their officers' actions after acknowledging they came in contact with Aghdam early Tuesday morning. According to a police statement posted to Facebook, patrol officers found Aghdam sleeping in her car in a parking lot at around 1:40 a.m. Tuesday morning. Barberini spoke during the Wednesday morning press conference about what led Mountain View police to Aghdam. "Aghdam had been reported missing by family members to the San Diego Sheriff's Office on April 2. She had been reported to have been missing March 31. Early on the morning of April 3, Aghdam was located by the Mountain View Police Department and removed from the state's missing persons system," Barberini said. Mountain View police officers say Aghdam told them she had decided to leave her family’s home due to family issues. They say at no time in their interaction with her did Aghdam mention anything about YouTube or about harming herself or others. San Bruno Mayor Rico Medina spoke at that same news conference. He said the gas pipeline explosion that killed eight people and destroyed 38 homes less than eight years ago helped prepare the Peninsula city for a major crisis. "San Bruno is no stranger to a crisis, and through that we have professional and well-trained public safety personnel" who responded yesterday, Medina said. 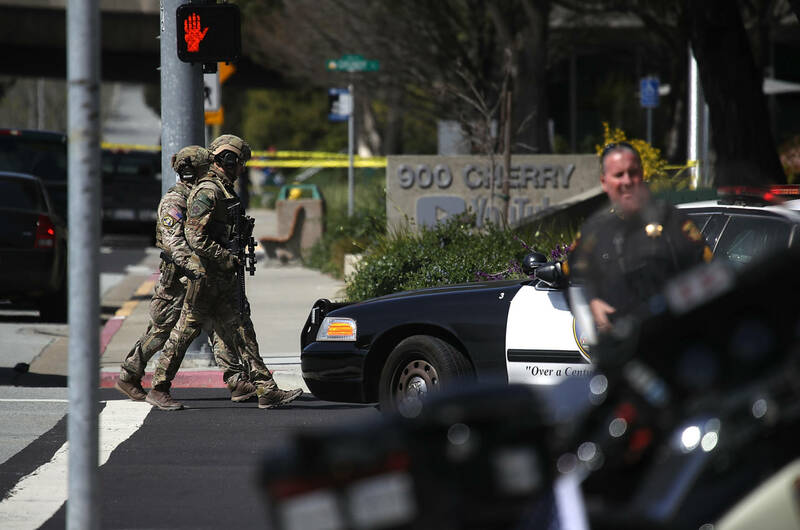 A woman who believed she was being suppressed by YouTube and told her family members she "hated" the company opened fire at the company's headquarters in San Bruno Tuesday, wounding three people before killing herself, police said. 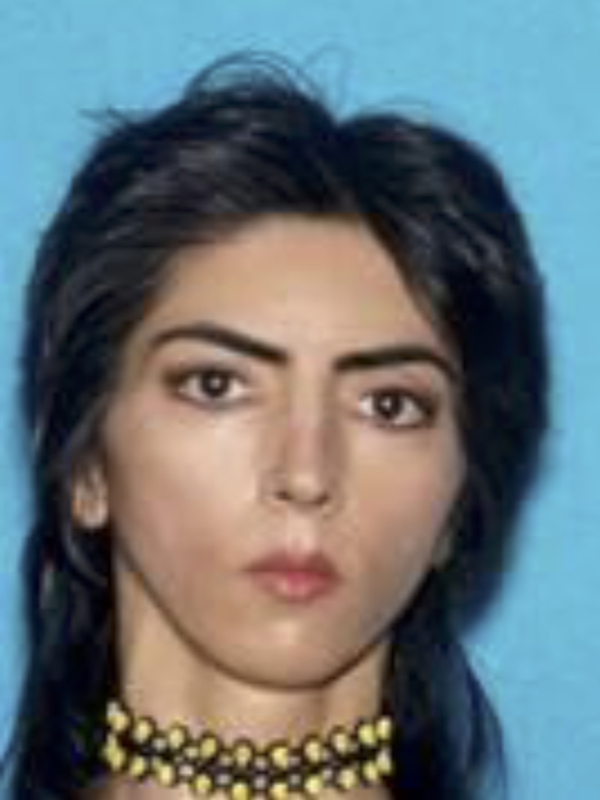 Investigators do not believe Nasim Aghdam, 39, specifically targeted the three victims when she pulled out a handgun and fired several rounds in a courtyard at YouTube's headquarters south of San Francisco on Tuesday, police said. But a law enforcement official with knowledge of the investigation told The Associated Press that Aghdam had a long-standing dispute with the company. The official, who spoke on condition of anonymity because they were not authorized to discuss the case, said Aghdam used the name "Nasime Sabz" online. A website in that name decried YouTube's policies and said the company was trying to "suppress" content creators. She posted about veganism and animal cruelty, along with glamour shots of herself and exercise videos. On Monday, he called police to report his daughter missing after she didn't answer the phone for two days and he warned officers that she might go to YouTube, he said. Officers in Mountain View — about 30 miles from YouTube's headquarters — found her sleeping in her car in a parking lot around 2 a.m. Tuesday but let her go after she refused to answer their questions. Aghdam didn't appear to be a threat to herself or others, police spokeswoman Katie Nelson said. The world's biggest online video website is owned by Silicon Valley giant Google, but company officials said it's a tight-knit community. The headquarters has more than 1,000 engineers and other employees in several buildings. Originally built in the late 1990s for the clothing retailer Gap, the campus south of San Francisco is known for its sloped green roof of native grasses. Inside, Google several years ago famously outfitted the office with a three-lane red slide for workers to zoom from one story to another. 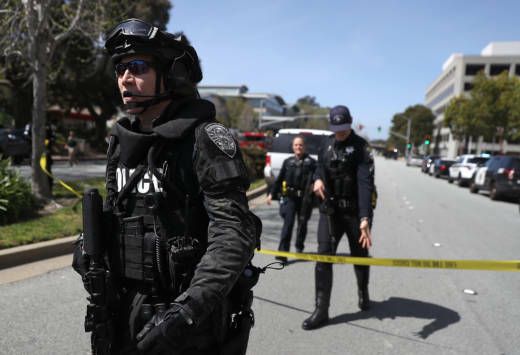 Officers and federal agents responding to multiple 911 calls swarmed the company's campus, sandwiched between two interstates in San Bruno. KQED's Don Clyde and Ted Goldberg also contributed to this report.